All videos, texts and other activities are from the internet and you will certainly find more relevant material by browsing the internet. As this course has been created in 2009 when there was the world climate council in Copenhagen, a lot of material is based on this event. Below you will find an empty glossary - waiting for you to fill it with words related to global warming, energy, climate change. Watch the 2 videos and talk about them in class. For Severn's speech there is an online Voicethread where you can all leave your comments. You can either write a comment or record your spoken message to share with the class. What feelings do they evoke in you? Then decide for one of the videos to work with. You will find the assignments below. Climate change- what price will future generations pay? 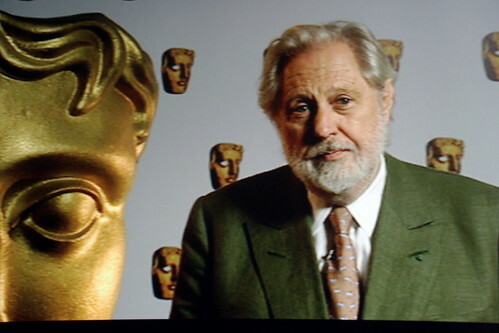 Lord David Puttnam, the author of this BBC article is an ambassador for Unicef UK. Read the text and take notes. Do you agree with Lord Puttnam? Will climate change act as a barrier that prevents future generations reaching their full potential? Are world leaders obliged to act under the UN Convention on the Rights of the Child? Discuss this text in the forum. How are people changing the climate? To find answers to these questions you will collaborate on this website in a wiki. Each of you or teams will choose one aspect and will write their contribution into the WIKI. You should decide with your teacher whether you do this in German or in English. The Wiki structure has already been prepared for you. In this Unit we will learn more about Greenhouse Gases and their relation on Global Warming. What has a pullover got to do with greenhouse gases and global warming? What happens to the sunrays in the animated picture? Can you find out with your partner? What do you know about greenhouse gases? You will work in groups to find out more on the diffferent aspects of the greenhouse effect and will create a poster on your aspect for the classroom. In the end each group will present their findings to the class. While working on the topic remember to make your entries in our glossary! The following links will give you detailed information on the greenhouse effect. There are 4 different aspects. You will have to choose which aspect you would like to work on with your partner. Once you've decided on the topic you may brainstorm ideas how to present your topic to tjhe class. You can do anything from a poster to creating a video or interviewing people or giving a presentation.